Researchers and scientists have been using centrifuge tube since their invention in 1938. 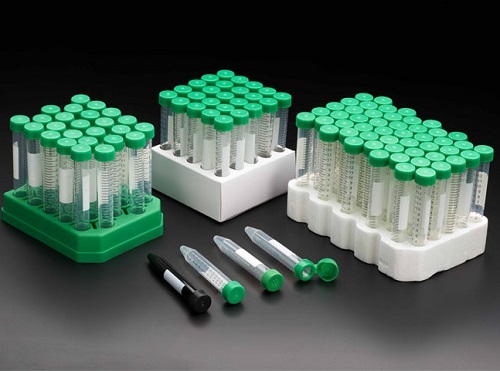 These tubes have become a necessity for laboratories across the world. With their fairly simple design, centrifuge tubes have the ability to be used for a plethora of applications. 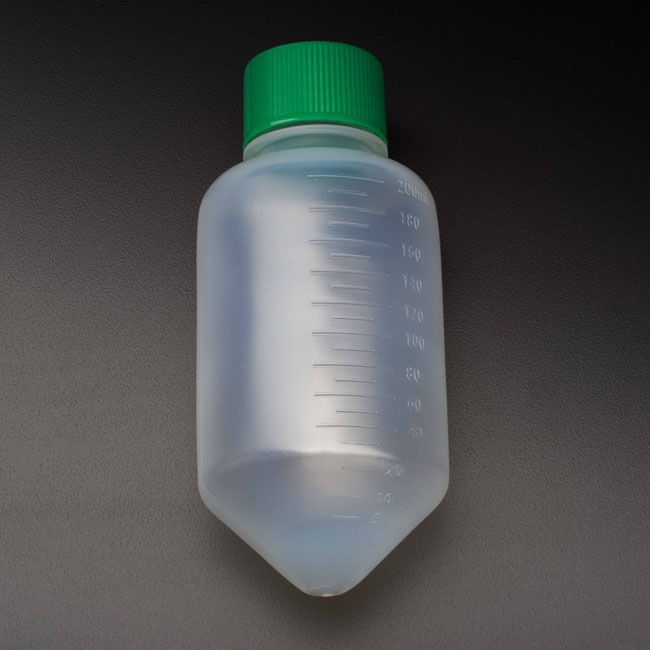 From sample storage to cell separation, a centrifuge tube is one of the most versatile consumable around. Centrifuge tubes can be designed in many different ways and manufactured with different materials. 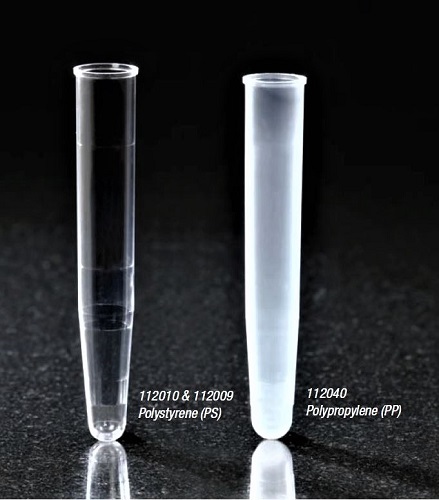 Pipette.com offers centrifuge tubes manufactured with the highest quality polypropylene, polystyrene, and glass to suit any type of storage or material handling need. 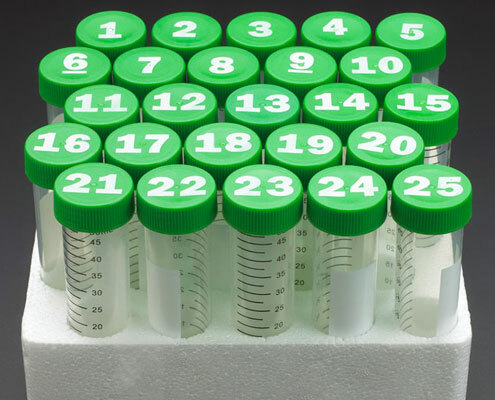 Factors to consider when choosing your centrifuge tubes include are you refrigerating or freezing your samples, are you incubating samples, what rpm or g force are you centrifuging your samples at, and whether your samples are light sensitive or not. 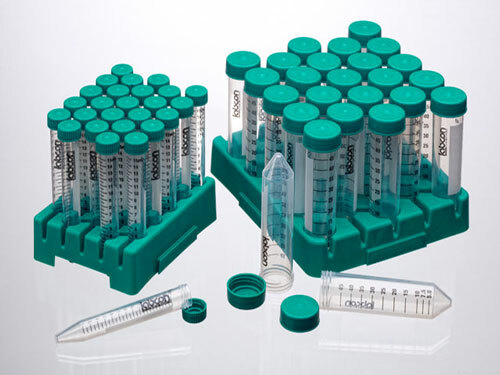 Constructed with a conical bottom, centrifuge tubes increase accuracy of pipetting and reduce left over sample waste within the tubes by driving sample down to a focused point. 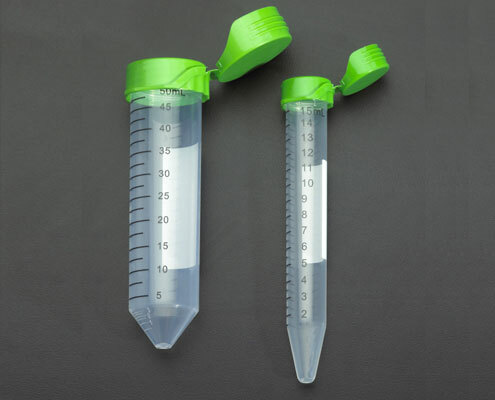 Making it easier to aspirate samples from a smaller surface area, centrifuge tubes with a conical bottom are the ideal route for any laboratory. 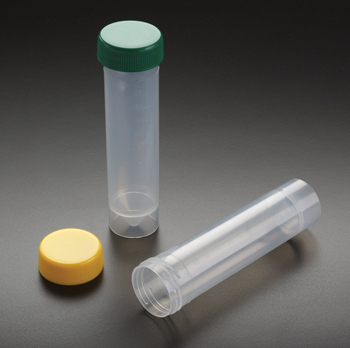 If balance and standing are an issue, 50 mL centrifuge tubes are often designed with a skirted bottom to prevent tipping of the tube and allow for it to be a free-standing container. Featuring graduated volumes up the centrifuge tube for easy volume identification and a large writing area for quick marking and identification, centrifuge tubes are designed to make laboratory work stress free. Some brands include racked packaging, catering to a more environmentally friendly re-usable rack system. Combining the efforts of creating a green product while retaining full utilization, companies are now adapting products to be more conscious of the environment without sacrificing any functionality. 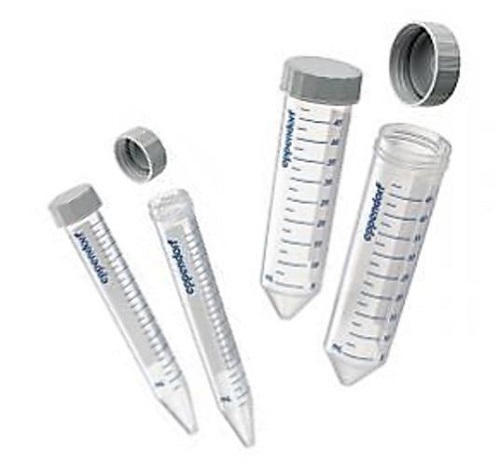 Between Labcon, CellTreat, NEST, MTC Bio, and our own Pipette.com brands, we are sure to have the right centrifuge tubes for your research needs. Questions or Concerns About Which Centrifuge Tube to Use? 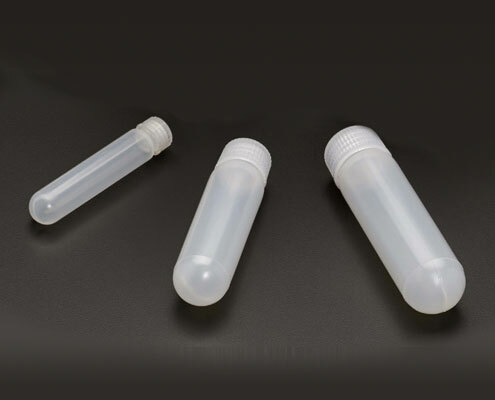 We are always here to help, if you have any inquiries about what centrifuge tubes would be best for your research, don't hesitate to contact us by phone at 1-800-243-3232 or email. 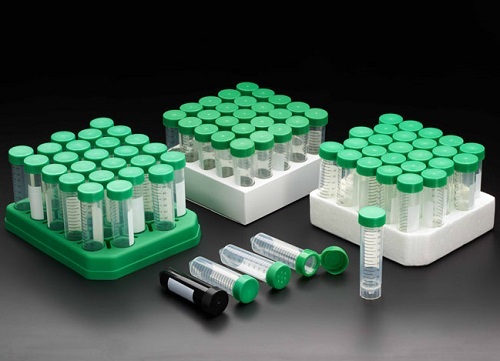 15mL Centrifuge Tubes avaliable in bulk, foam, paperboard, and reusable polypropylene racks. 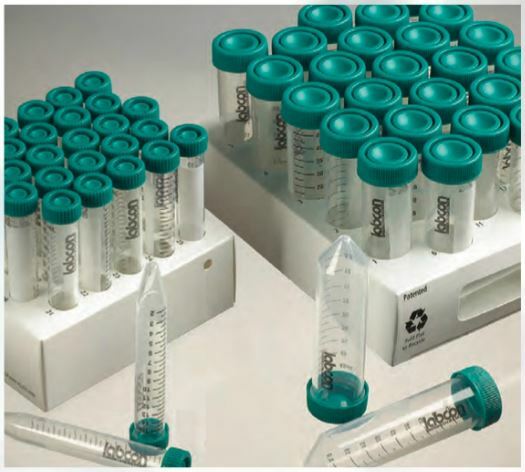 50mL Centrifuge Tubes avaliable in bulk, foam, paperboard, and reusable polypropylene racks. CELLTREAT Black Centrifuges protect light sensitive compounds. 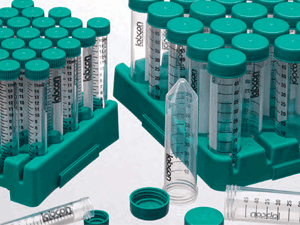 Make organization easy, with the printed cap centrifuge tubes! 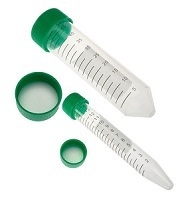 Flip Top Centrifuge Tubes make aspirating solutions a snap! 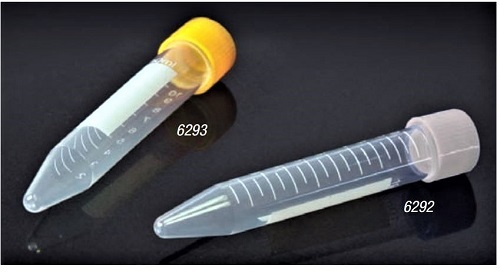 CELLTREAT Large Volume Centrifuge Tubes were designed as a solution for large volume centrifugation. 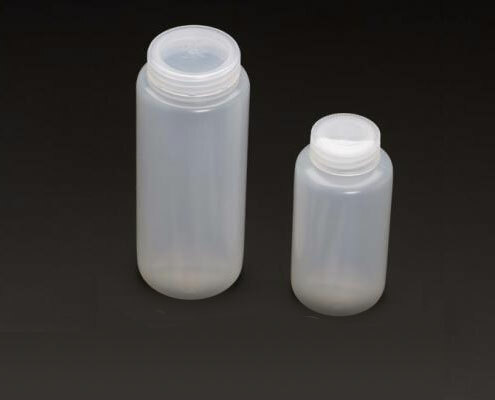 The tubes feature molded graduation lines and a polyethylene (HDPE) cap with an integral plug seal to secure samples during centrifugation. 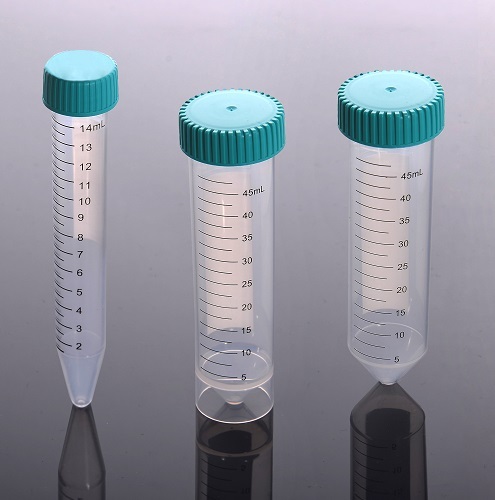 Large Volume Centrifuge Tubes are available in 225mL or 250mL sizes and are rated for 7500 xg and use at -80°C to 120°C. 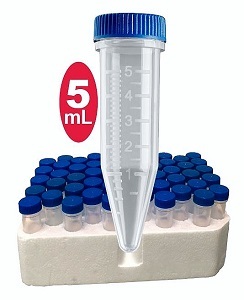 Save money with the ability to culture and centrifuge in one tube! The 0.22um hydrophobic membrane in the vent cap makes these 15mL & 50mL tubes perfect for biological reaction experiments. Dimensions: 16 x 100mm. Graduated at 0.5, 1, 2.5, 5 and 10mL. Conical bottom. Polystyrene (PS) spin rate: 1500 RCF. 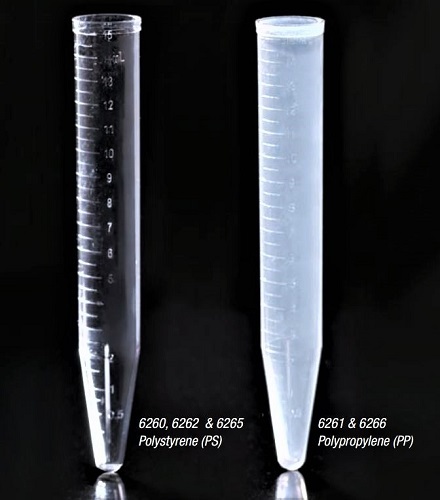 Polypropylene (PP) spin rate: 3000 RCF. 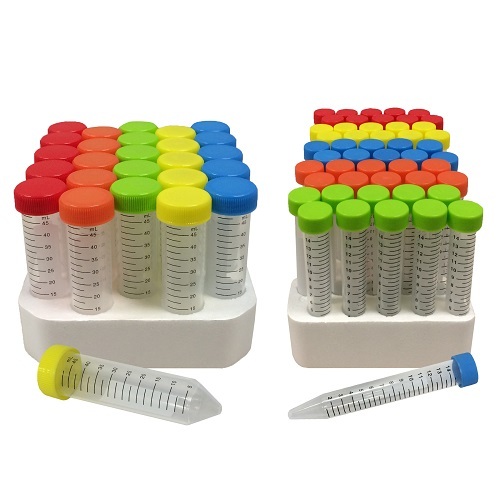 Globe Scientific RNAse / DNAse Free 15mL and 50mL Centrifuge Tubes are a top quality line of centrifuge tubes featuring flat-top, plug-seal leak resistant screw caps, a large white writing area and printed graduation marks. 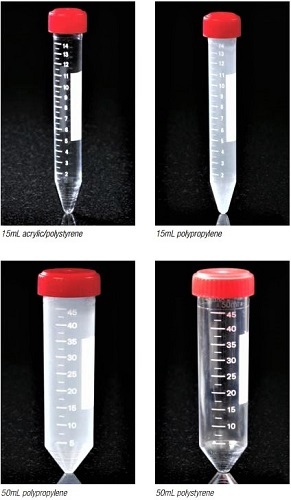 All sterile tubes are Rnase/Dnase and Pyrogen free. 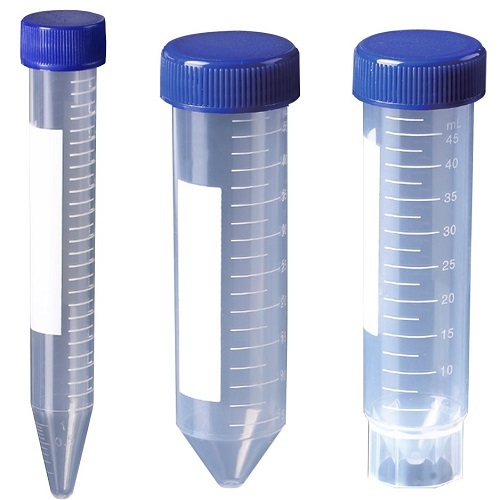 These high-quality centrifuge tubes are molded from polypropylene (PP) and feature flat-top, leak resistant blue caps. The tubes are printed with black graduation marks and have a large white writing area. 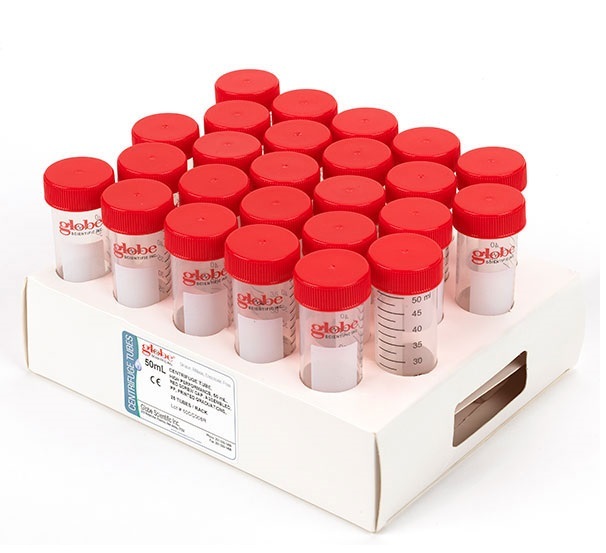 Globe Scientific's innovative 10 mL centrifuge tubes have leak-resistant screw caps and are available in sterile and non-sterile versions. The tubes can be used with the bioMerieux® PREVI™ Isola automated plate streaker system, and also in centrifuge rotors that accommodate 15 mL centrifuge tubes. The tubes have white printed graduation marks and a large white writing area. 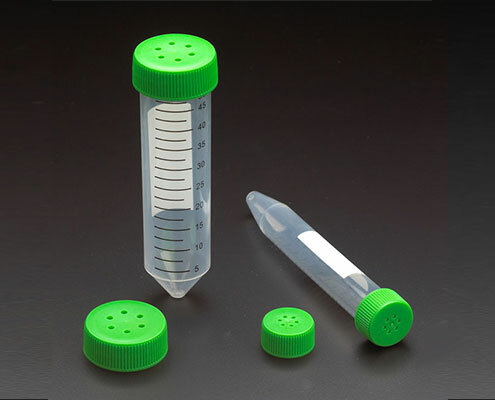 Globe Scientific manufactures a high-quality line of 5mL centrifuge tubes that come with both snap caps and screwcaps to meet your everyday laboratory needs. 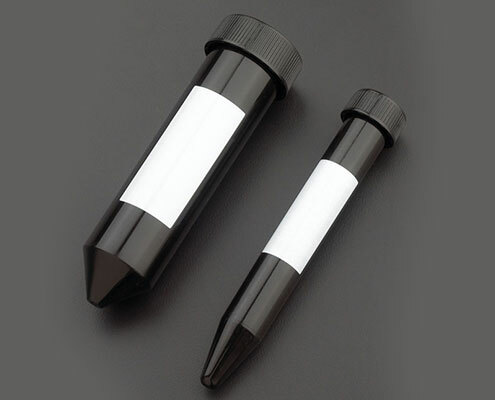 Globe Scientific Diamond Max centrifuge tubes are exceptionally clear and have black printed graduation marks to full volume of 15mL or 50mL, a bright white marking space, and are packaged in heavy duty, zip, re-closable bags to ensure proper protection before use.